The 2019 Ram Heavy Duty might be able to tow 35,000 pounds just fine, but it didn’t take long to figure out what the truck couldn’t handle: The longest government shutdown in U.S. history, which Fiat Chrysler had said could delay its launch. The government is back open for now, though, and the Ram HD is back on schedule. 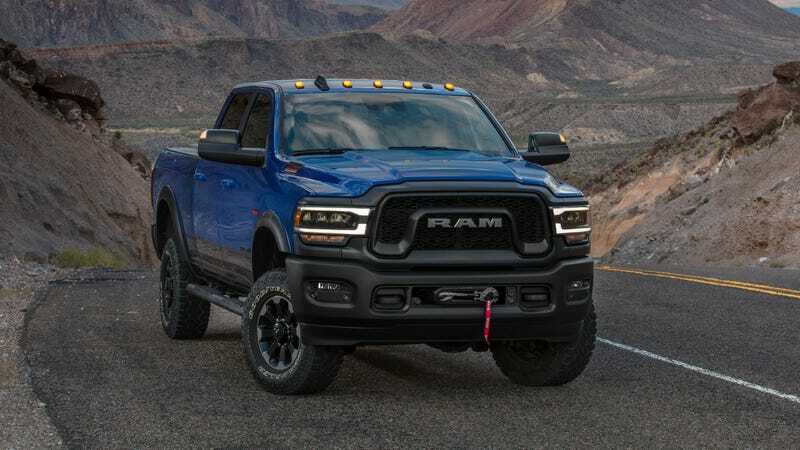 FCA announced Tuesday that the Ram Heavy Duty 2500 and 3500 launch is back on track, after some fears of delay due to FCA waiting on Ram 3500 emissions certifications from the Environmental Protection Agency during the shutdown. FCA hasn’t specified anything past “Q2” for the launch, though, so it’s not like many people would have noticed the emissions delay if it did happen. FCA US has received certification for its new 2019 Ram 3500 pickup – gasoline- and diesel-powered models. The Company previously received certification for its new 2019 2500 models. FCA US is grateful to the U.S. Environmental Protection Agency for expediting this process. The new vehicles remain on schedule for their planned Q2 launch. Manley blamed it on the shutdown, which just wrapped up after 35 days, and, in addition to the relatively minor delay fears over at FCA, cost the economy $11 billion, ravaged some national parks, and left employees awaiting paychecks and scrambling to pay bills and mortgages in the meantime. The truck escaped unharmed, though, which can’t very well be said about the rest of those things.